A revolution in air filtration design K&N Filterchargers can actually double air flow to your engine and add up to 15 extra horsepower. The filters oiled cotton gauze design provides more surface area to collect dirt and contaminants than paper filters without restricting air to your engine. 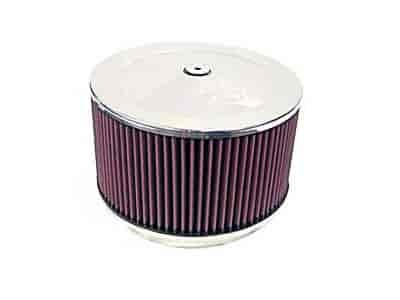 The filters design has the added benefit that with proper care and cleaning it will last the life of your vehicle. Simply clean and re-oil the filter when it becomes necessary and it is ready to perform.